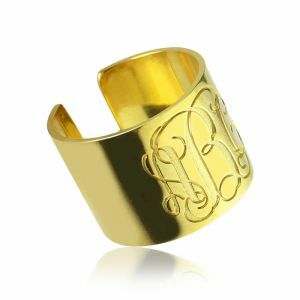 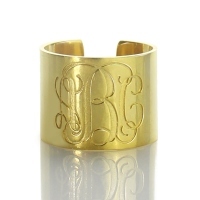 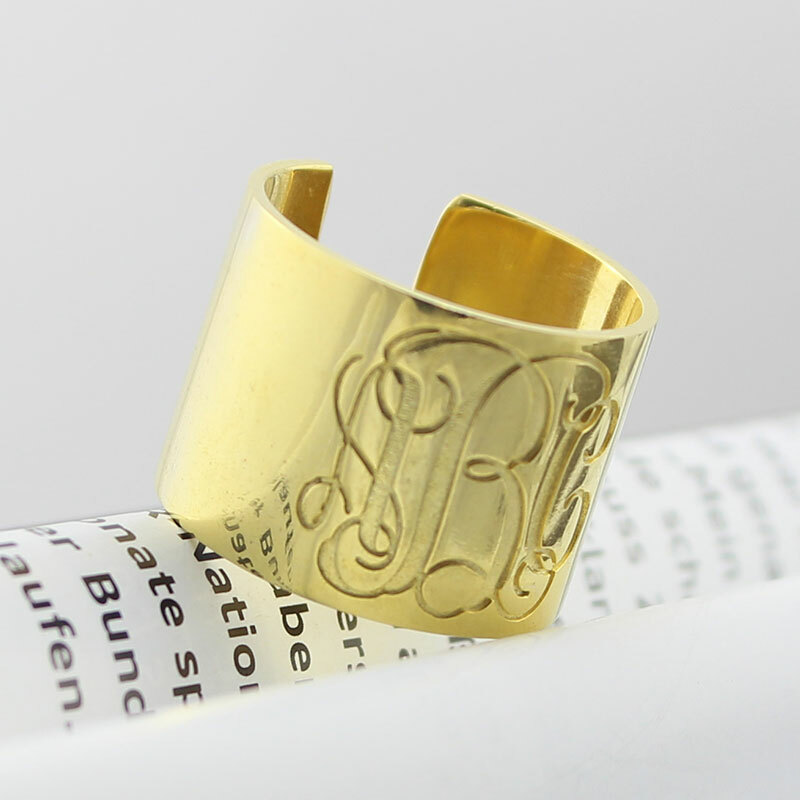 Script Monogram Cuff Ring Gifts 18K Gold Plated - Delight her with sterling silver our monogram cuff ring in a style favored by celebrities. Engrave it with her three initials to make a stylish personalized gift.This ring will be treasured by you or someone you love for years to come. 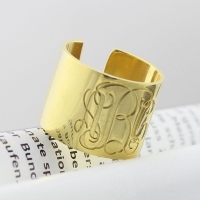 Available in your choice of silver, gold, rose gold or platinum.